The DEEP product line is based on the Science of Celleration, a coin termed by Dr. Hamilton to describe the skin aging process. 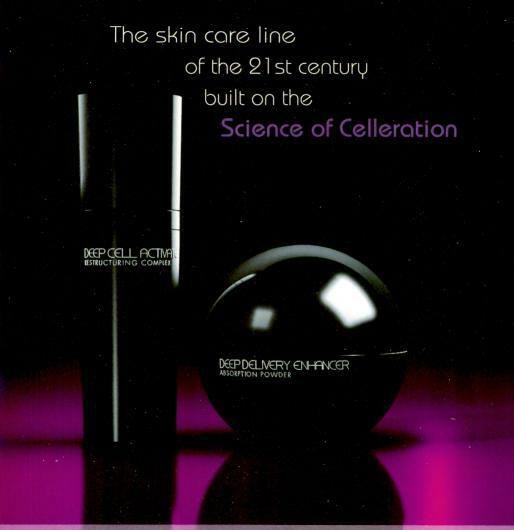 The Science of Celleration captures the “ac” and “de” of the two step aging process. First, there is the proliferation of free radicals, produced mainly by sun exposure, which damages and ages skin cells. Second, the proliferation of free radicals slows down collagen production. Since collagen is a major component of the skin, when it is under produced, wrinkles appear. Thus, the acceleration of free radicals causes the deceleration of collagen production which causes wrinkles. So there, you have aging! Doctor Hamilton’s products – based on the Science of Celleration – fight the aging process by penetrating the skin to accelerate collage production and decelerate free radical growth.